CHESTERBROOK, Pa. — AmerisourceBergen Corp. has done much to redefine the role of the pharmaceutical wholesaler in recent years. 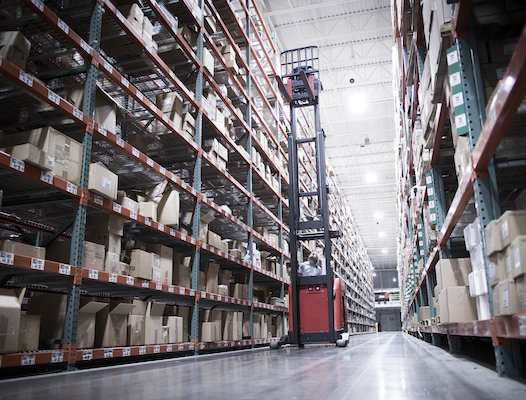 The company has augmented its core drug distribution operation with a variety of capabilities that better position it to help business partners throughout the supply chain succeed. When one hears the name AmerisourceBergen today, it is accurate to think about a provider of global specialty logistics; consulting and patient services; and support to pharmacies, physician offices, oncology practices and hospitals, as well as a traditional drug ­wholesaler. The primary architect of the transformation is Steve Collis, who was named chief executive officer in July 2011, after serving for 17 years in various management roles at AmerisourceBergen and its corporate predecessors. “Throughout the organization we like to define ourselves as the place where knowledge, reach and partnership shape health care delivery,” Collis says. “It is a fitting description because, when you look at our knowledge of specialty, our knowledge of reimbursement, our knowledge of policy issues, our knowledge of the health care environment and pharmaceutical care, we certainly possess that. Collis and his management team — including AmerisourceBergen Drug Corp. president Bob Mauch, AmerisourceBergen Specialty Group president James Frary, and president of global sourcing and manufacturer relations Peyton Howell — set about capitalizing on those strengths to create a differentiated offering in a market where, Collis acknowledges, AmerisourceBergen faces formidable competitors in McKesson Corp. and Cardinal Health. A good, if perhaps somewhat unexpected, example of the company’s strategy is the $2.5 billion acquisition of MWI Veterinary Supply. Announced 17 months ago, the transaction made AmerisourceBergen a powerhouse in a field related to its core business that is burgeoning around the world. The thinking behind the MWI deal reflects AmerisourceBergen’s broader strategic vision. The company puts a premium on new ideas, new expansion opportunities and new business alliances. One of the primary ways that AmerisourceBergen assists independent drug stores is through Good Neighbor Pharmacy, a network of more than 3,200 members who benefit from services in such areas as managed care, business coaching, store design, third-party contracting and reimbursement networks, and merchandising, in addition to financing and supply chain functions. “What I’ve seen globally is that the wholesaler is the most important business relationship that a independent pharmacy has,” says Collis. “We’re very proud of Good Neighbor Pharmacy. It’s a dynamic program, and we’re carrying on investing in it. We have to make sure that those community pharmacies stay relevant when it comes to areas like specialty pharmacy, when those products lend themselves to a community ­approach. “We want to make sure that our independent practitioners get very good access to new drug launches, be that brand or be that loss-of-exclusivity products. That’s a key strategy for us. In short, I think the wholesalers have been very important to those 22,000 independent pharmacies that are still in business in the U.S. While AmerisourceBergen’s support has become crucial to the continued viability of the independent pharmacies and small drug chains it serves, the company has used the partnership model to great effect in its dealings with major retailers. The most striking instance is the long-term, strategic relationship the company forged with Walgreens Boots Alliance Inc. (WBA) in March 2013. The 10-year deal — which last month was extended by three years to 2026 — built on the companies’ existing contract for specialty medications to include all branded and generic drugs, and combined their purchasing power in the pharmaceutical market through Bern, Switzerland-based Walgreens Boots Alliance Development GmbH (WBAD). In addition, WBA was granted the right to buy up to a 30% stake in AmerisourceBergen, an option it has chosen to exercise, and given a seat on the company’s board. 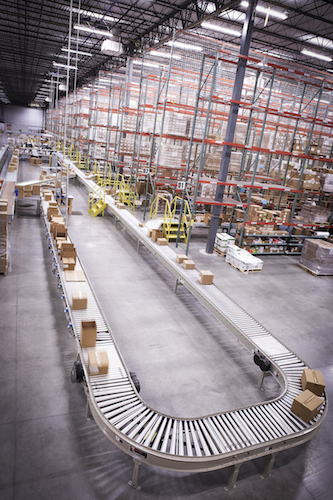 The partnership with WBA has been a great success, according to Collis, who notes that it has, among other things, led to a doubling in throughput at AmerisourceBergen’s 26 distribution centers in the U.S.
“At our heart, we’re a distributor, and that requires us to be very efficient. Distribution is not easy to do really well,” he says. “I think we’re setting new standards in our Walgreens partnership, where we are making additional investments to ensure that the patient has the right medication at the right time, and we’re doing that in a way that has never been attempted before between a large chain and a wholesaler. “We will truly be integrated all the way back to the contracting phase to make sure that fill rates — which already represent a very high standard of service — are going to be even more elevated because we understand now, because of the relationship we have with Walgreens, what happens if that product is only available 95% of the time. It sounds pretty good, but it’s not good enough,” explains Collis. 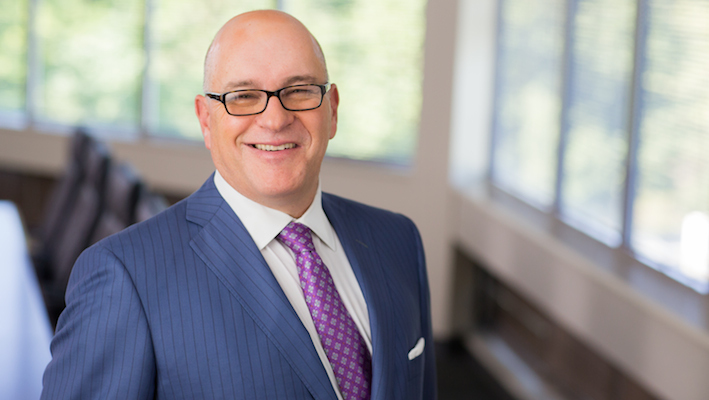 Contrary to concerns about the impact the deal between AmerisourceBergen and WBA might have on the timely availability of medications to other wholesale customers, Collis, who has presided over a 70% increase in the company’s revenue during his tenure as chief executive, says the partnership has improved the supply chain by raising the volume of products in the system. AmerisourceBergen has established itself as a leader in specialty medications, the cutting edge of pharmaceutical treatment. The companies that comprise the wholesaler’s specialty group offer pharmacies and other providers solutions that drive efficiency, financial performance and improved patient care, while drug makers benefit from commercialization services designed to maximize the success of biotech medications at every stage of the product life cycle. “The brand business has become a specialty business,” asserts Collis, who earlier in his career spearheaded the emergence of AmerisourceBergen as a power in the specialty sector. “So many of the oral solid products that have driven our industry for years are off patent and widely available as generics, which, by the way, doesn’t mean that they still aren’t very important to patient care and still aren’t very important to our customers. “But if you look at where manufacturers are investing, it is so much in the specialty area. We’ve had wonderful examples of new immunology drugs in oncology and, of course, hepatitis C and new HIV medications that have truly had a positive impact on patient care. I’ll add my voice to the many that say that sometimes the value that pharmaceutical care is providing to the system gets overlooked in the debate about the pricing.